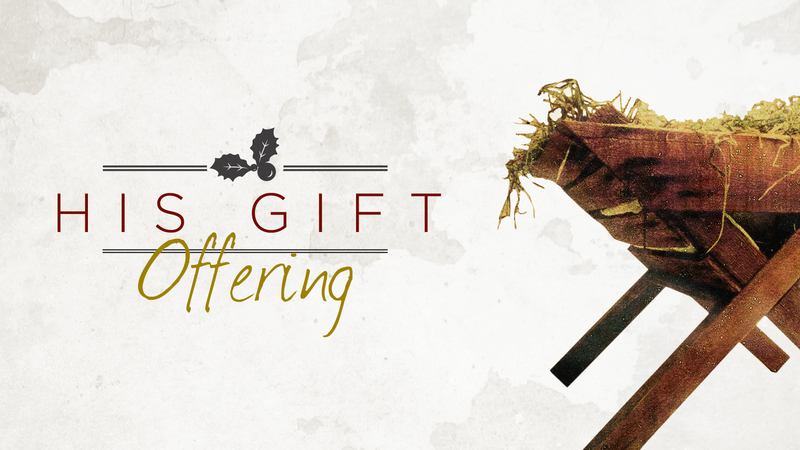 I want to invite you to be a part of this year’s special offering called HIS GIFT. We hardly ever do “special offerings” at PromiseLand San Marcos, but when we do we always give it for a unique and special cause. We are a BIG church and we believe that we have a BIG responsibility when it comes to helping others. Scripture says, ‘to whom much is given, much is required.” We are taking this responsibility seriously. We are starting a new tradition this year, that I want us to continue every year in December. We are asking everyone to give something over and above your normal giving. If you haven’t given financially to PromiseLand yet, then this is a great opportunity to jump in! We are going to take this offering and give it 100% to reach the world outside of PromiseLand San Marcos. There will be no overhead costs. Nothing is going to staff or our normal budget. Everything is going to further God’s mission outside of this local ministry. Nigeria Africa – We have partnered with Pastor Ani Simonson and Grace Chapel in Lagos, Nigeria for over 6 years. We have drilled a well, built a school, and purchased land for a church. This powerful ministry in Africa does everything from provide schooling, water, and church life to villages and inner cities in Nigeria. They have several projects that need help including a new roof on a community center and new facilities for their inner city ministry. Central Texas Life Care – CTLC is a pregnancy resource center here in San Marcos that has been offering help and hope to moms for 30 years. They counsel, offer sonograms, testing, and resources (diapers, car seats, clothes, etc) completely FREE to any mom in need. Over the last year, the director, Cheri Martin, has had a vision to open a home for moms that are being forced to abort their children. Some moms are told by their parents or the father of the baby to abort the child or they will have to pay the consequences. Sometimes that is to be kicked out of the family. Other times, that means physical harm or even death.We have been thinking about and dreaming about a safe haven. A place where moms can get on their feet safely.Earlier this year, a benevolent family in Martindale heard about the vision of CTLC and offered to donate their ranch! 50 acres, Beautiful home, 2 min from SM River, fertile soil for gardening, huge space for quadplex homes, a daycare, playground. SEE VIDEO BELOW! San Marcos Community Church – This church is located in our town and we LOVE that. We want to support our brothers and sisters across town and show that with tangible, financial help. This church has stood beside us in rough times and we want to be instrumental in sowing into their next level! Internet Ministry – We currently reach around 300 people in 15 countries every week with our internet ministry. This includes streaming services live and via podcast. We desperately need to upgrade our internet capability and video recording quality to reach more people around the world. We have no idea how much money will come in from this offering because we have never done this before. In order for us to fully fund the projects we have discussed, it would take in the neighborhood of $40,000. In a church our size, that is about 3 weeks of offering. If we all give some extra, we can nail this easily! Would you Pray about HIS GIFT and then Give Generously for HIS GIFT? You can bring it to the service on Dec 21st or give online anytime between now and Dec. 31, 2014. Posted on December 15, 2014, in Church Business. Bookmark the permalink. 1 Comment. So very excited about this!! !